Never wash your car again? You mean it will always stay clean? 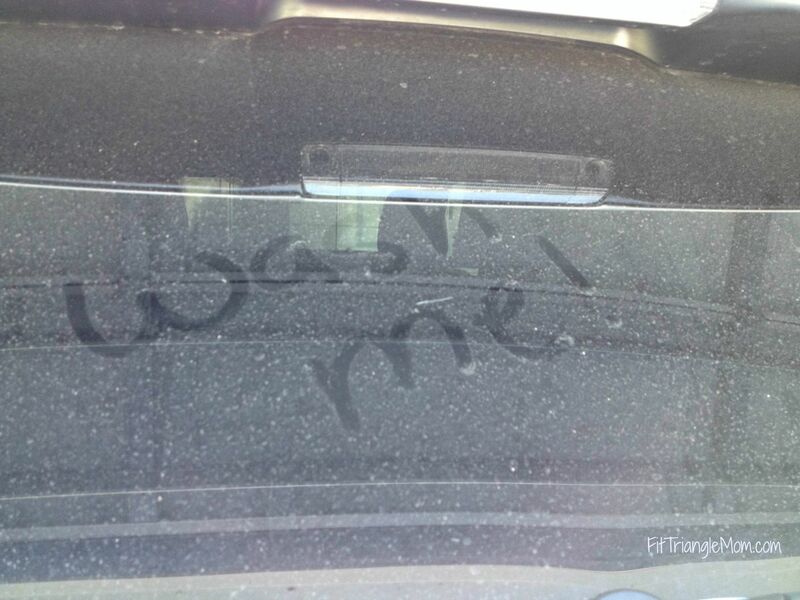 Not exactly, but what I’m saying is that You will never have to wash your car again. Busy moms like myself spend too much time in the car and adding the responsibility of having to wash it, is just wrong. I wish my car had an auto clean button to handle the dirty shoes, crumbling snacks, juice box spills, sticky fingers, and mother nature on the outside. I may not have a magic button, but I found something just as good– Get Spiffy. 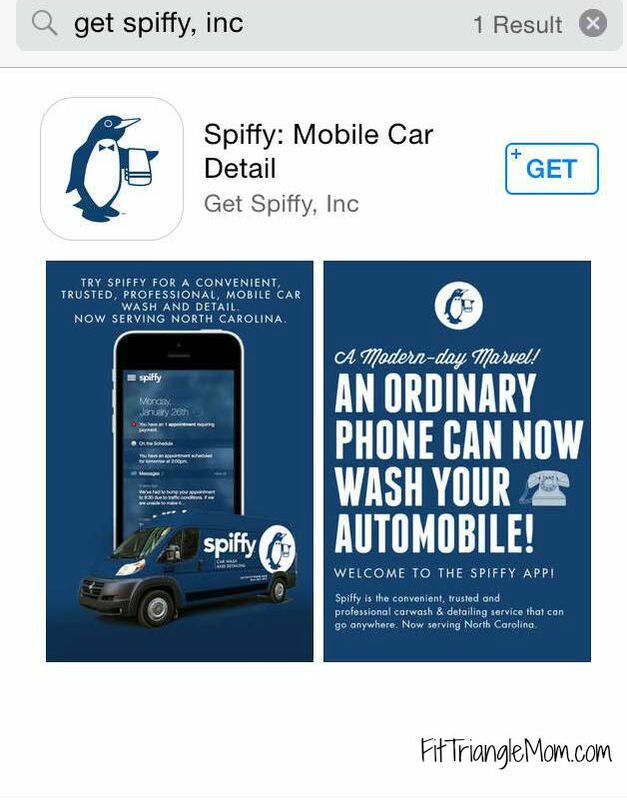 Get Spiffy is a mobile car wash and detail service that comes to you (home, work, gym, etc) and washes your car. It doesn’t stop at the washing either; they can vacuum the inside (bye-bye crumbs), shampoo the carpet (bye-bye juice) and clean the leather. They can shine, wax and detail your car too. You pick the time and service on their app, and they come to you. My car was literally begging me to wash the exterior and clean out the interior. I didn’t wash it after our June beach trip and on top of the regular boy mess; there was an abundance of sand inside. Needless to say, I was enthusiastic about trying out the #4 Awesome Detail in exchange for my honest review (see disclosure/disclaimer). 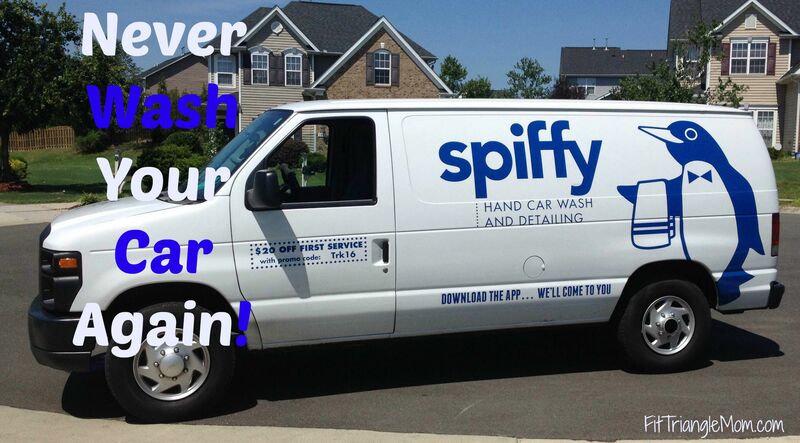 There’s really only one thing you need to do to Get Spiffy to come to you, download their App. The App is easy to download on your phone and allows you to schedule appointments, choose and pay for a service, enter your vehicle type and location of service. You can even chat with a customer service representative if you have a question. Get Spiffy offers 5 menu options that vary from a basic wash to a full detail. All services are performed at your location, and they bring all the tools required to get the job done– water, soap, shampoo, vacuum, wax, and more. I chose the popular #4 Awesome Detail (sedan/not-sedan, $159/$199) for my car. I have a Toyota Highlander, and Get Spiffy considers it not-sedan because it has a 3rd row of seats. I felt like a magic button was installed in my car the day Get Spiffy arrived at my house. The technician backed his van into my driveway, opened all the car doors and started vacuuming and cleaning the interior of my car. Once the interior sparkled and looked better than new, the technician turned his attention to the exterior. He cleaned the wheels and shined the tires then hand washed and waxed the car. My 3-year-old son enjoyed watching the exciting Get Spiffy service in action. 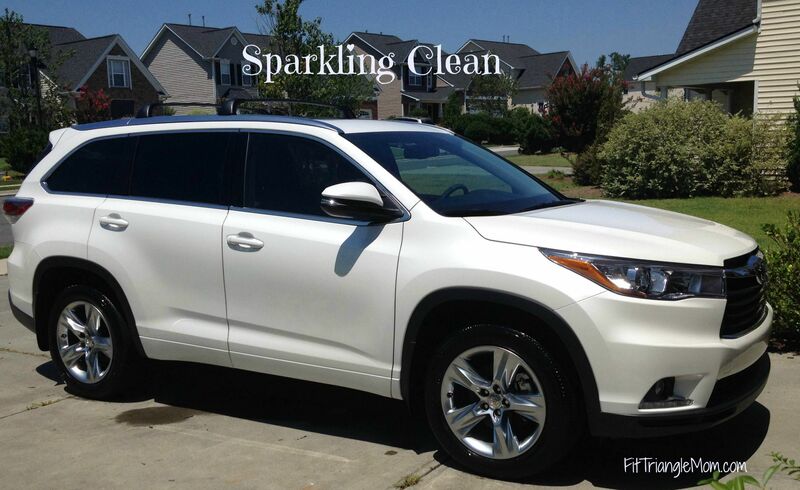 I felt like my fairy godmother had summoned a magical mobile car wash and detail service, and my dirty car was transformed into a shiny and new SUV. All fairy tales come to an end and happily-ever-afters are temporary when it comes to cars and kids. So here are a few promo codes to keep your car clean and Spiffy. It’s been years since I’ve had my truck professionally detailed. That’s a great reason! Everyone deserves a detail! I also like your new look. Thanks. I’m experimenting with new looks. Glad you like this theme. 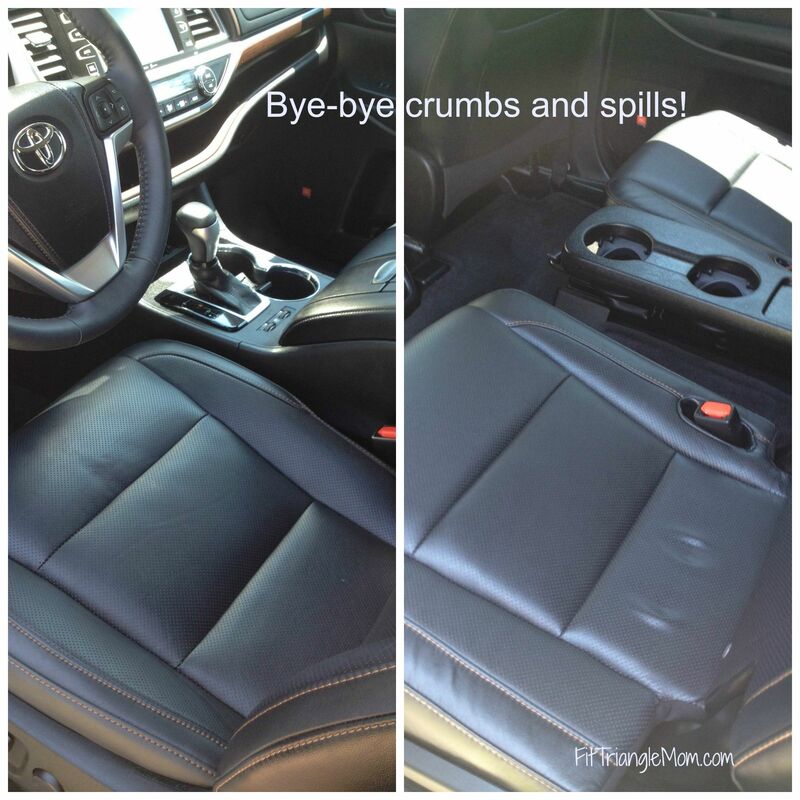 I need get Spiffy for our 10 year old Camry because it needs major TLC from soda spills to dust and my husband’s take out wrappers! Wow, you sure do need a Get Spiffy hand wash and detail! What a great idea. No more hassle with dropping off a car while it is being detailed. Yes, it was very easy making an appointment and having them come to my house. We really lived it up this summer and my mini van has suffered. Would love a professional detail from Spiffy! Thanks for the chance! 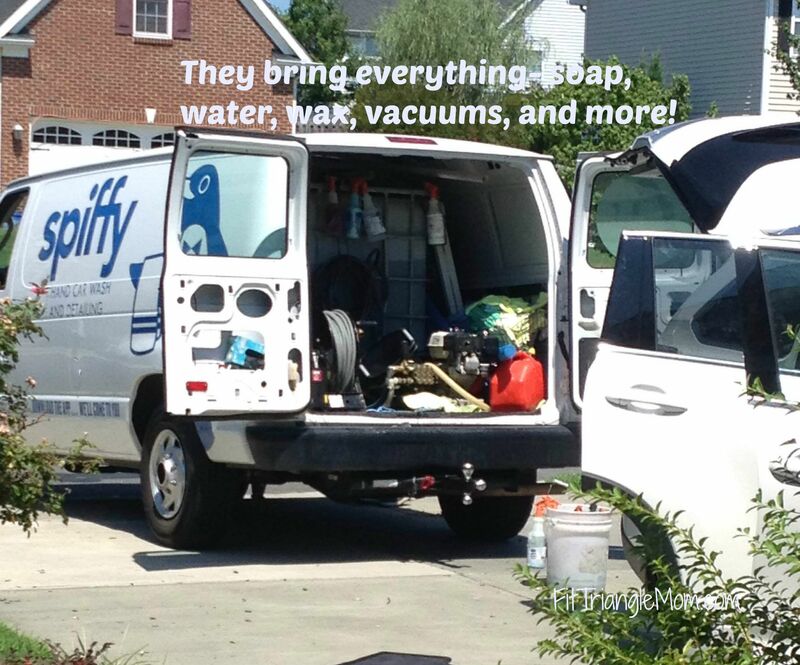 Get Spiffy will make your van look better than new. Because our car has just been to Maine and back. And oooooggggghhhhhiiiieee. It’s a hot mess. I can imagine. Our car gets messy just going across town. Oh I so need this! My car is always a disaster and when I try to DIY it, it takes far too much time with mediocre results. 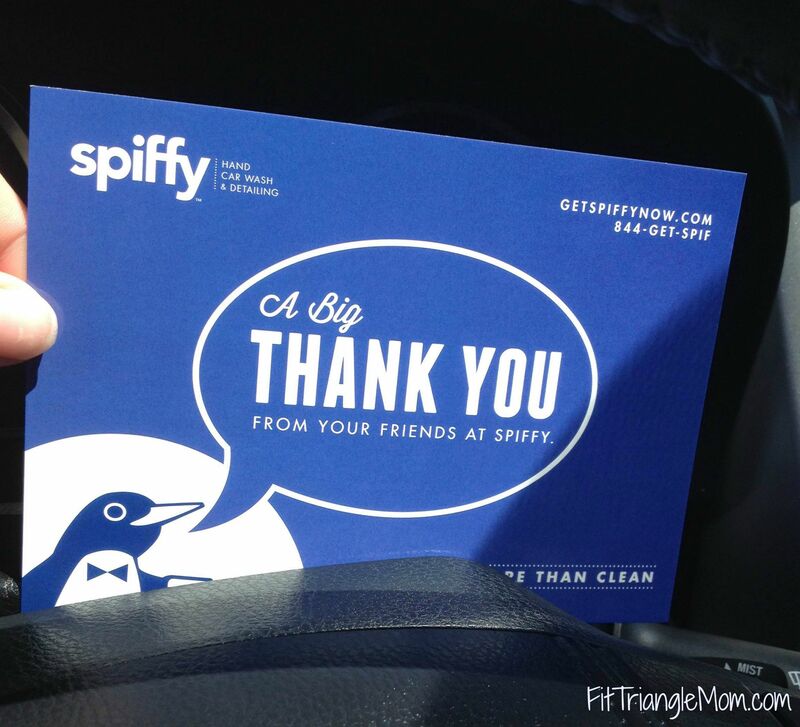 Get Spiffy has a subscription service to help keep your car clean more often. Now this is a neat service! Perfect for anyone who doesn’t have time to get down to a car wash or doesn’t live near one. Getting a real deep clean detail is such a nice feeling. Thanks for sharing! Car wash needs to be great for me as i live in windy region but never found the right service. Will implemnt these tips. Not sure where you live, but there might be a Spiffy near you. I also need Spiffy service for my 58 years old car. But I am not sure is it available or not. I live in Chico.